The sixth annual Zenkaikon is at a temporary location this year at the Oaks Exhibition Center. Unlike other Zenkaikons, this year is setup as a festival; with a main stage, video gaming, dealers room and panel rooms. 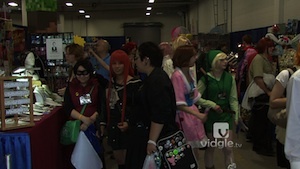 On the Friday episode, Louis explores the festivities of Zenkaikon 2012!